Our success is possible thanks to your success. Join us at our upcoming Annual Meeting on Wednesday, Jan. 23 as we celebrate all we’ve accomplished together in 2018, and launch into bold, new beginnings. Winning is a lot of fun! I like to think that there five reasons why: Common vision, consistency, partnerships, creating opportunities and we never give up. Having a common vision about the kind of developments and businesses we want to see and how to go about keeping, attracting and creating such opportunities is easy to describe but takes trust and communication – and constant attention to keep the region moving in the same direction. 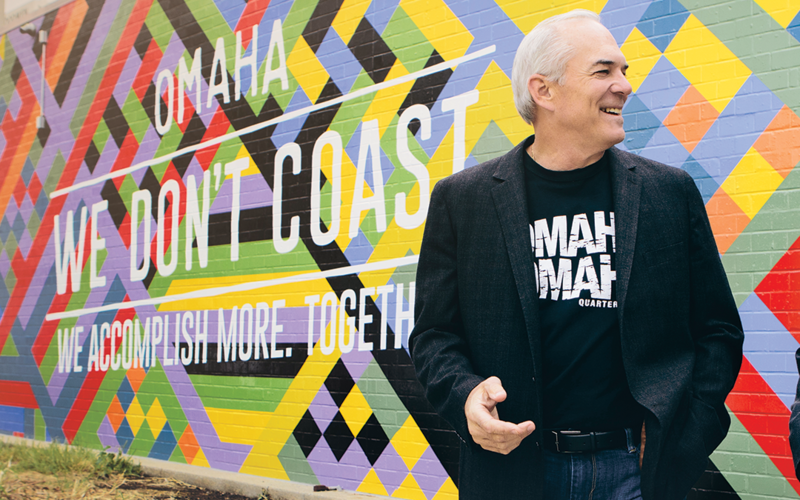 The teams that are in place in Greater Omaha have a long history of engagement in economic development. This consistency is an asset that our clients now expect. The Greater Omaha Chamber is a good example of this having just celebrated our 125th year anniversary with more than fifty years leading economic development in this region. We always accomplish more together and we take a team approach to economic development. Partnerships with skilled and experienced chamber and economic development partner staff and volunteers, utility partners, local and county partners and state partners, show that we win because we are not afraid to get the right people around the table to ensure that a project gets the support it deserves. We all want to make our communities more competitive and it seems like the more we work on creating our own opportunities, the more direct results there are. Let me give you some examples. We wanted to accelerate the development of startups in our market, so we created The Startup Collaborative. The results…more than 100 tech startups in the past five years with a goal of more than 250 tech startups in the next five years. When it was clear that we were losing clients to communities with sites and buildings ready to go, we created the Go Ready Site program to assess, find, fund, control and develop sites for targeted businesses across our region. Results? Successes like Facebook, Travelers Insurance, and Fidelity, with additional projects pending in Fremont, Bellevue and Papillion. When local government wanted to break large publicly funded infrastructure projects into smaller contracts that would be open to small and emerging sub-contractors, they approached the Chamber and we developed the REACH program. The result was identifying more certified SEBs, improved capacity of existing SEBs so they could bid on larger projects, the creation of new SEBs to meet market demand. All of this resulting in more than $3milliion in contracts that have been fulfilled by SEBs, and 26 new small construction companies created. And, finally, there are several examples of us winning projects because we just would not give up. I am convinced that huge projects like Novozymes, Facebook and Costco would not be investing billions of dollars, and employing thousands of our friends, family and neighbors, if it were not for members of our team just not taking no for an answer. This is what makes us uniquely prepared to win. Now we need to put this same set of attributes to work in building the region, so we are set to win in the future. Competitive tax structure. Competitive incentives. Robust talent pipeline. Quality communities. These are all within reach. Winning this next competition will be even more gratifying because there is so much more at stake. A region preparing to launch into an even more prosperous future.